The USB Alumni Association's Future Fund provides bursaries and financial assistance to a number of deserving students who have been admitted to the MBA programme. The School also provides financial assistance to a number of senior MBA students to study modules at one of our international business school partners to earn credits towards the MBA. 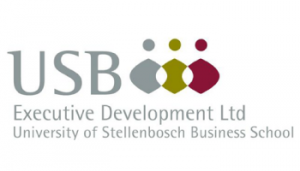 The University of Stellenbosch Business School sponsors partial MBA bursaries. For more details on bursaries and to apply, contact Marie Willows on 021 918 4243 or at [email protected]. The closing date for bursary applications is 30 November each year. Only students who have been accepted onto the MBA programme may apply for a bursary. The bursaries will be awarded for a Full-time MBA. Applicants from previously disadvantaged groups will be given preference. Stellenbosch University and the National Research Foundation offer bursaries. Certain banks grant loans at favourable interest rates.